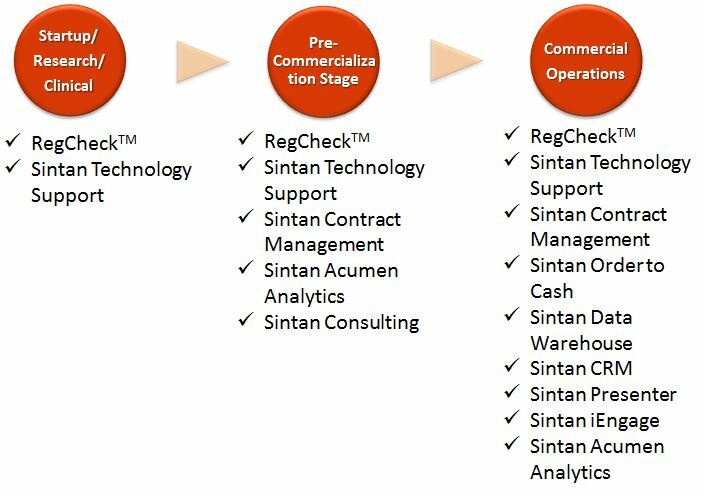 Sintan is dedicated to improving sales and marketing effectiveness within the pharmaceutical industry, focusing primarily on the challenges facing the Hospital, Account based, Specialty and Emerging Pharma markets. We deliver an integrated solution suite and specific consulting services that responds to the challenges of this new selling environment. Our mission is to help the companies grow across all stages in their life cycle: from a primarily research focused organization to a full commercial operation. Our integrated solutions and consulting services change and grow in number and complexity as the company evolves. We deploy the solutions and services you need at each stage, ‘just-in-time’ so you are not investing in infrastructure before you need to.